A Thousand Books Before Kindergarten! It sounds like a lot, doesn’t it? But chances are, if you read with your children while they are very young, you’ll help them be successful in school. Children can stop by the library in Bird Island, Olivia, or Lake Lillian to be enrolled at any time. Once enrolled, they will receive a log to track their books. Each time a parent reads a book with their child, they write it down (it is amazing how fast it adds up!). After each 100 books are read (one page is full), families can return the reading log to the library for a sticker or other incentive. This program can “piggy back” on other reading efforts, such as Dolly Parton’s Imagination Library or reading programs at your Preschool. 1,000 Books before Kindergarten is Achievable! 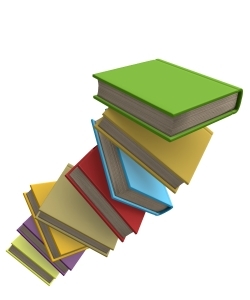 If you read 10 books each week for two years, you will have read 1,040. Double that rate to read 1,000 in one year. If you read just three books every day for a year, you will have read 1,095 books. Bring your child to your local library to pick up your child’s reading log to get started today! Welcome to the BOLD ECI’s Website! We are excited to be able to share more information and resources about the BOLD ECI to you, here on our website! Watch for ways that you can get involved, events for kids coming up, and other useful early childhood resources! We welcome your feedback and comments, and hope that you will tell other parents of young kids in the Bird Island, Olivia, Lake Lillian area about the BOLD ECI! Many people know us best by our annual Spring Concerts! In 2013 we hosted the Teddy Bear Band, and in 2012 we jammed to Bob the Beachcomber!